NORTHLAND NIGHTMARE’S A TEAM – HELL’S WIVES TAKE ON ARDL ON SEPT 28TH……………..EXCITED? WE ARE! 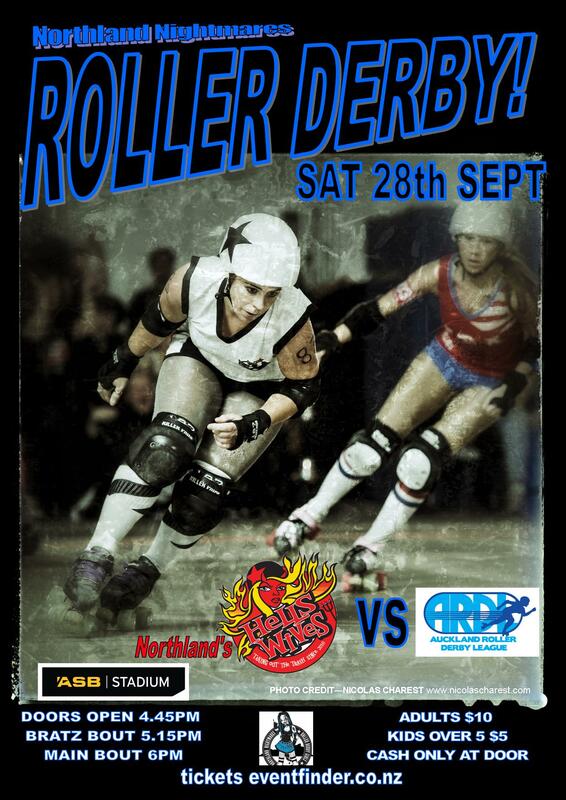 ARDL (Auckland Roller Derby League) are one of NZ’s best teams and we have the pleasure of challenging them on Sept 28th at Kensington Stadium, we have had 2 epic wins this season and are looking to take down the mighty ARDL in what is going to be an intense bout, needless to say we are going to put it all on the line and will be Northland’s David against Aucklands mighty Goliath, do we have what it takes to beat the giant? You’ll have to come and see………….. This entry was posted on September 5, 2013 by nnderby. It was filed under EVENTS! .